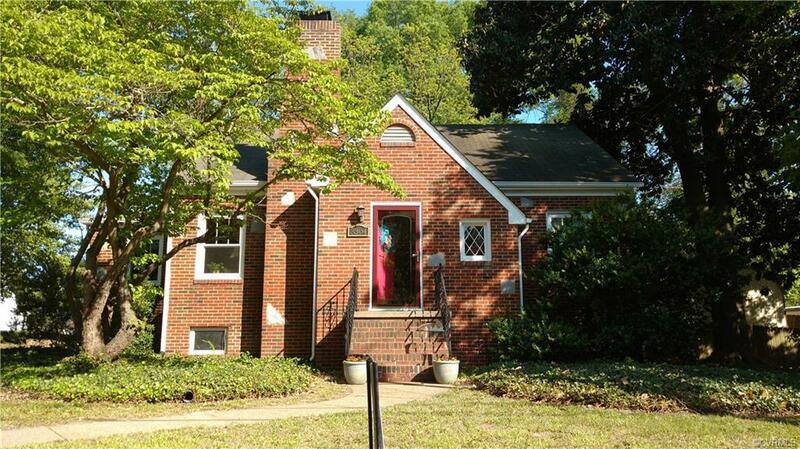 Don't miss this immaculate 3 bedroom, 2 bath brick cape with many updates and amenities. Beautiful wood floors, archways, wood burning fireplace, eat-in-kitchen with lots of counter space. Electric stove, refrigerator and dishwasher convey. First floor full bath features double sinks, new flooring, ceramic tile and tub with shower. Cozy upstairs could be a private area for guests or second master bedroom with wood floors, full bath and cedar lined closets. Vinyl replacement windows and storm doors. Wired for security system. Detached garage and shed with electricity. Garage is used for a studio but could be turned back into a garage. Beautiful garden, patio and grilling area in the fenced rear yard.